Last year iFiberOne reported on my efforts (as the then elected prosecutor) to reduce gang crime through targeted prosecution of selected offenders by using a non-traditional tool. See Below. Specifically the goal was to use cost effective probation violations to incapacitate high level gang members. This tool was showing promise and is something that should be considered by others in the field. It would be a detriment to the community if those efforts are not continued. EPHRATA – A prosecutor’s office task force is targeting gang members violating their probation. The Grant County Prosecutor’s Office formed the gang prosecution task force in March. 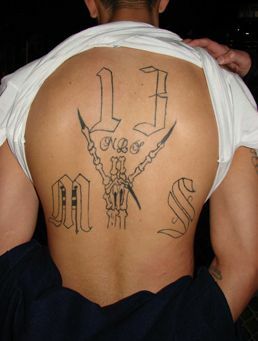 The deputy prosecutors have been working with law enforcement to identify gang members and “high priority individuals” inside the gangs, he stated. The taskforce has been targeting gang members violating their probation, he stated. Task force prosecutors filed 34 probation violations in the past month aimed at gang members. “Targeted probation violations, with an emphasis on members of a criminal street gang, are a new thing,” Lee stated. In a majority of the cases, the gang members were convicted or accused of a different crime or didn’t comply with court-ordered punishment or treatment, he stated. Lee stated the targeted probation violations are in addition to normal criminal prosecution.